Ready for business. Maximize productivity while ensuring the best value with the business-ready ThinkPad E580 laptop. 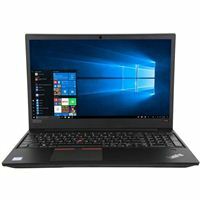 Essential performance and ThinkPad durability combine with a slew of security features, sleek design, and standardized connectivity to give your business what it needs to get ahead.